Amazon Echo, Apple HomePod and Google Home form the majority of the smart speaker market. Smart speaker sales across the globe have been on the rise. 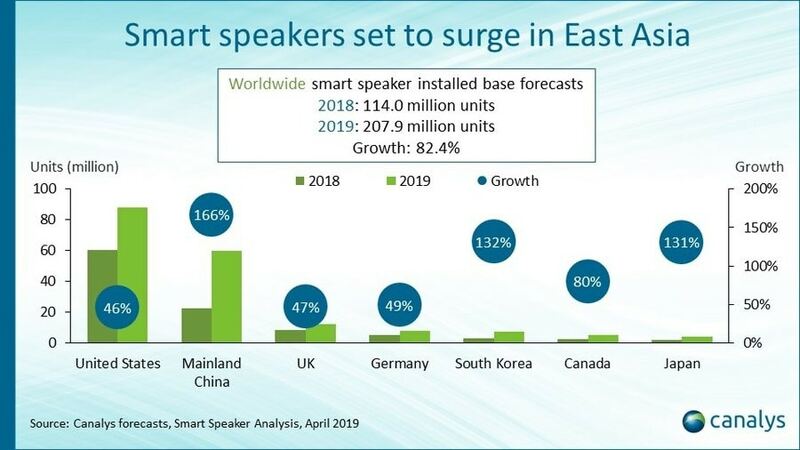 According to analysts at Canalys, the global smart speaker market could go over 200 million units by the end of this year. Smart speaker devices by Amazon, Apple and Google will grow up to 207.9 million units in 2019 from 114 million units. That’s a tremendous 82.4 percent jump in numbers. The report also states that smart speaker ownership will go past that of tablets by 2021 and the number of sold units could reach 600 million. Coming down to specific regional sales, the US is said to retain the lead because of its 46 percent growth. China, South Korea and Japan will witness a growth of 166, 132 and 131 percent, respectively. Other countries mentioned include Canada, Germany and the UK which will grow by 80, 49 and 47 percent respectively. Smart speaker analysis, April 2019. Image: Canalys. Although the high numbers seem over the top, it’s too early to say whether the trend will continue. 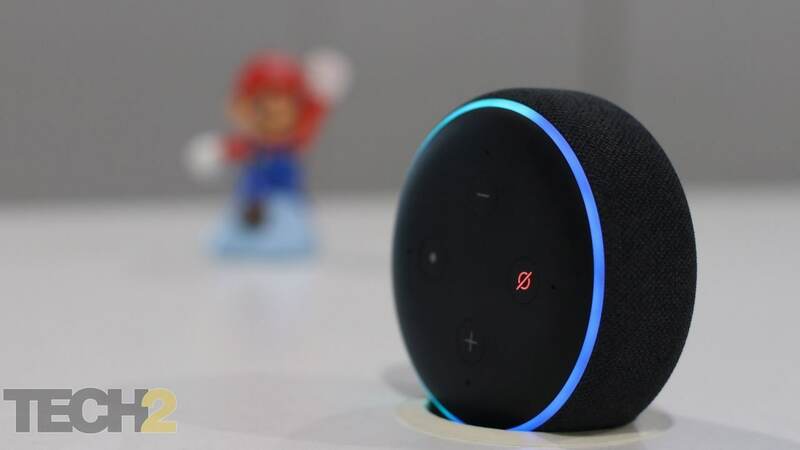 A separate survey by NPR and Edison Research discovered that 69 percent of the participants stated they weren’t going to buy a smart speaker in the next six months. Out of the lot, only 30 percent were “somewhat likely” or “very likely” to buy a new device. Analysts at Markets and Markets are predicting the market to be worth $11.79 billion by 2023.